Optimum Movers understands that moving your possessions to a new place can be a stressful experience. When you entrust your most valuable possessions onto us, you are assured that they will arrive at your new Toms River, NJ home in the same condition they were brought to us. By providing a safe method of transportation for your heaviest items at a cost-effective price, Optimum Movers ensures that your transition to Toms River, NJ will be as swift and hassle-free as possible. We’ve worked with families from all over New Jersey, including Toms River. When people decide to live in Toms River, they are in it for the long haul. This is a large but quiet community with lots of amenities. It’s no wonder that 62% of its 92,093 residents live in the same house for 5 years on average! 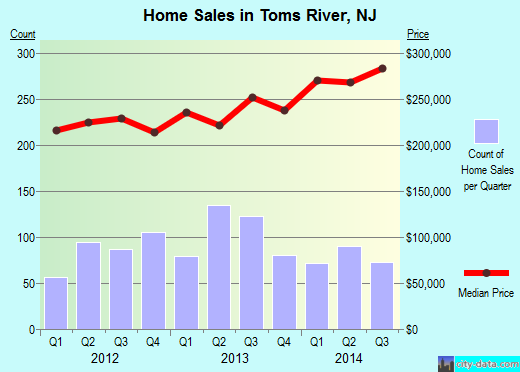 The average house in Toms River costs $299,900 had 3-4 bedrooms and 7-8 rooms. Home owners live in their residence for 12 years and renters stay for an average of 5 years. Roughly half of the people moving into Toms River come from other parts of New Jersey and would only need a short distance moving crew. Want to learn more about a Toms River Move?